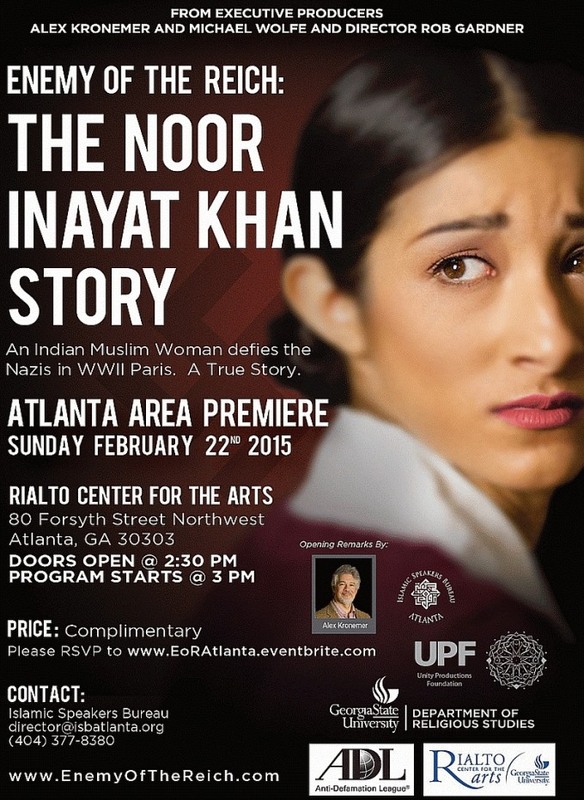 The Islamic Speakers Bureau, Georgia State University Religious Studies Department, Rialto Center for the Performing Arts Theater, and the Anti-Defamation League are collaborating to bring the Unity Production Foundation film Enemy of the Reich: The Noor Inayat Khan Story The screening is free and open to the public; please invite your friends! Seats are limited, so you must RSVP. Time: Doors open 2:30pm, film 3 pm.